The flag of Odisha flutters high and unfettered, even in the face of inhuman oppression. I am proud to be his descendant. The revolt laid the foundation for an early freedom struggle against British rule in the country. There was another Paika Rebellion against the British in Khurda area in 1817. This was a daring uprising of soldiers led by Buxi Jagabandhu (Bidyadhar Mohapatra) in Odisha. The Paikas have been the traditional landowning militia of Odisha and have served as warriors. They revolted against the British after the later took over their rent-free land, 14 years after Odisha came under British rule in 1803. The Paika movement is a matter of pride for the nation. 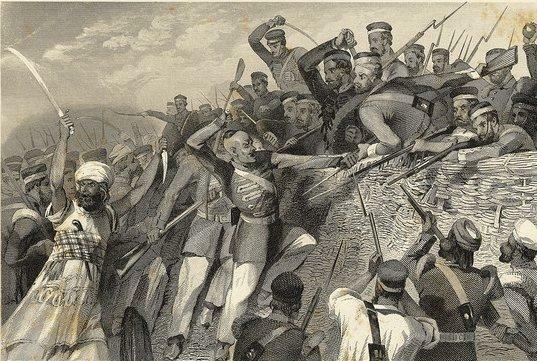 It predates the officially recognised first war of independence, the Sepoy Mutiny of 1857 and the country plans to celebrate the 200 years of the uprising by commemorating the bicentenary. The Buxi-led rebels first attacked the police station of Banpur, burnt government quarters and looted the treasury. After a British commander was killed during a fight at Gangapada, the government officials fled Khurda in fear. The revolt spread like wildfire to other parts of the state such as Gop, Kanika and Kujanga and lasted for around one and half years. In 1861, Major Impey of the British conceded that “Surendra Sai was never defeated and would never be defeated”. He realised the futility of military operation against Veer Surendra Sai, the rebel from the royal family of Sambalpur at the age of 18, who was barred from assuming Kingship for his unrelenting, sustained fight for freedom. Veer Surendra Sai fought the British almost single handed till his arrest in 1864. He spent more years in jail as a political prisoner than anyone else in the world and was incarcerated by the British authorities for forty-one years, even more than Nelson Mandela, simply because they were afraid of him. In 1866, Odisha was struck with a great famine, called Na Anka Durvikhya taking lives of about one million spread across different regions. People realised that if the state had been independent the famine would never have happened. The struggle for an independent state based on language grew even stronger after the famine. During the famine, Babu Bichitrananda Das and Gouri Shankar Roy decided to publish Utakala Deepika, a magazine in Odia. It highlighted the famine issue and the unimaginable sufferings of millions. The first issue of appeared on August 4, 1866. It was the first independent publication in Odia. In the backdrop of abject poverty and debilitating famine, Odisha was grouping itself to a stronger confederation of freedom fighters. Towards the later part of the 19th century, the progressive intellectuals in Odisha huddled up, expressed their disenchantment with a “disintegrated” state and decided to give a proposal to the British government to bring together the scattered areas of Odisha, bind the state geographically. It would ultimately result in a socio-economic bonding. The first proposal for the unification came from Raja Baikuntha Nath De of Baleswar and Bichitrananda Patnaik of Cuttack in 1875 (published in Utkal Dipika, February 27, 1875). They presented a memorandum to the Government and Sir S.C. Bayley, the Lieutenant Governor of Bengal, who visited Odisha in 1888. 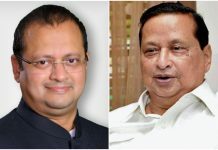 Bayley was presented with a Memorial by the ‘Utkal Sabha’ of Cuttack and was requested to consider uniting the Odia speaking territories of Madras, Central Provinces and Bengal in one administrative unit. In 1870, Madhusudan Das became the first person from Odisha to acquire a graduate degree. He also acquired a law degree in 1878. After Madhusudan Das returned from Calcutta to Cuttack in 1881, the Utkal Sabha was formed in 1882. 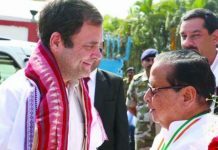 It marked the beginning of political activities in Odisha. In 1888, a durbar was held in Cuttack during the visit of the Lieutenant Governor of Bengal, where the Utkal Sabha led by Gouri Shankar Roy presented the issue of bringing Odia speaking territories under one administration. In 1896, Hindi was introduced in the Odia speaking district of Sambalpur as a part of Chattisgarh Division of Central Province in place of Odia as the court and administrative language. Odia thinkers and leaders never wanted this to happen. The whole state was disturbed with the devious decision. Odisha was on the boil. In 1882, a social organisation called ‘Utkal Sabha’, was established under the initiative of Gauri Sankar Roy and it took a major part in developing political awareness among the Odias. By the end of 1895, Odia was abolished in the courts of Sambalpur. But Odisha found a friend in H.G. Cooke, the Commissioner of Odisha who supported the movement for the amalgamation of Odia speaking geographies in July 1895. It was the first official endorsement of the voices of the people. In his annual administrative report, Cooke, though seemingly benign in his approach, suggested certain measures in his report to his seniors. And he thought that the areas which could be united with the Odisha Division were: (a) Sambalpur district of the Chhattisgarh Division of the Central Provinces, (b) Tributary States of Patna, Sonepur, Rairakol, Bamra and Kalahandi and (c) the whole or part of the Ganjam district alongwith the States of Kimidi and Ghumsur. His suggestions were completely ignored and the Sambalpur agitation continued for the restoration of Odia as the court language. Such was the fervor, that in July 1901, some leading citizens of Sambalpur called on Sir Andrew Fraser, the Chief Commissioner of the Central Provinces and suggested that ‘if it was thought impossible to have Odia as the language of one Central Provinces’ district, they would prefer to be transferred to Orissa’. The Chief Commissioner accepted the argument and advocated with the Government of India to transfer Sambalpur to Orissa Division. 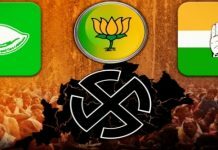 Disclaimer: The views and opinions expressed in this article are those of the authors and do not necessarily reflect the official policy or position of Odisha Bytes.